Austin is rapidly evolving. In fact, with so many new hotels, event spaces, restaurants and shopping destinations opening, you might find it hard to keep up with us. But don’t fret. We’ve provided a hit list to help you keep track of all that’s new in Austin. The Carpenter Hotel. Credit Kate LeSueur. The 93-room boutique Carpenter Hotel is part of a renovated old union hall set among a grove of pecan trees at the edge of Zilker Park. The hotel features a pool that opens to a courtyard and a Quonset hut pavilion that can serve as a pool cabana, event space or shaded cafe seating. Chef Grae Nonas is at the helm of Carpenters Hall restaurant, offering Austin faves like breakfast tacos and kolaches, as well as the Hot L Coffee cafe. When it opens early this year, the 32-story high-rise will include 244 hotel rooms, 9,500 square feet of meeting space, three chef-driven food and beverage destinations, a spa and wellness center, and two rooftop pools overlooking Lady Bird Lake. The project also includes 99 luxury residences. ARRIVE hotels will bring this five-story, 58,600-square-foot property to the vibrant East Austin district. It will include 83 rooms, two restaurants/bars and retail spaces. A 3,500-square-foot event venue will accommodate everything from business meetings to private parties. 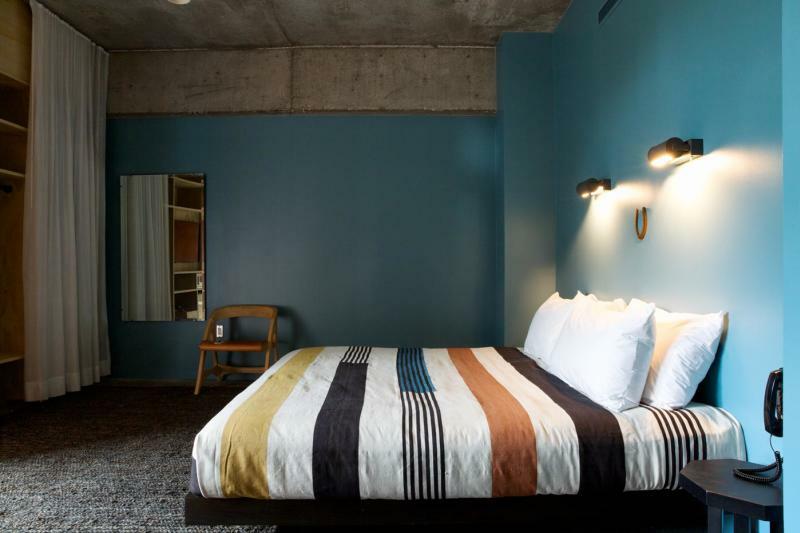 Located in the heart of East Austin, this stylish new 75-room hotel features “cabins” (private rooms with shared bathrooms) and traditional guest rooms. Its Sixth and Waller restaurant is an all-day spot serving global comfort foods. The Upside bar features a patio overlooking East Sixth Street, while the poolside Pool Bar offers tropical drinks. Hotel ZaZa, one of Texas’ most revered and innovative hotel brands, will soon bring its luxe boutique accommodations to downtown Austin. Plans are in the works for a 24-story tower with 159 guest rooms and 8,500 square feet of meeting and event space. 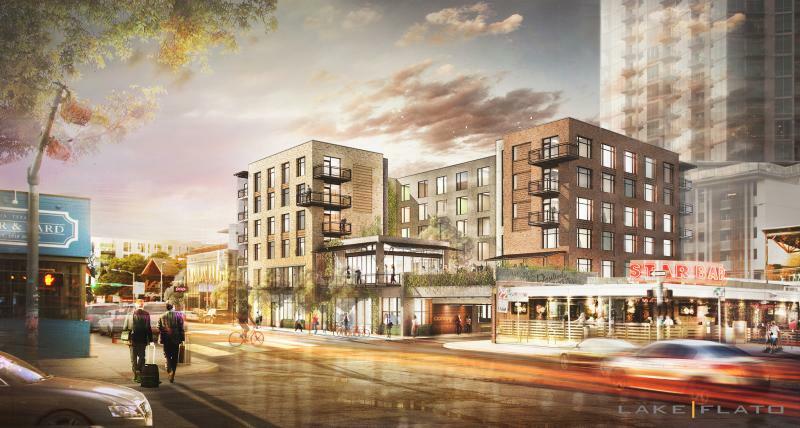 Taking inspiration from HomeAway, Airbnb and the local Austin neighborhood, this beautiful three-story boutique hotel will include 80 spacious rooms, a 5,000-square-foot lawn for events, a rooftop space and a restaurant using locally sourced ingredients. Canopy Austin. Courtesy of Hilton. Canopy by Hilton Austin Downtown hotel will have 140 rooms, including five suites, an intimate guest lobby and a relaxed, open-air courtyard that connects to a restaurant/bar that integrates with the West Sixth Street entertainment district. Amenities also include an elevated pool deck with excellent views of the street scene and downtown Austin. Totaling 347 rooms and 11 stories, this dual-branded property will bring a new hotel complex to the southwest corner of the University of Texas at Austin campus. The Otis Hotel will include 191 rooms, 6,000 square feet of event space, a restaurant and a rooftop bar and pool. The AC Hotel Austin will be the first of its kind in the Austin area, and will contain 156 hotel rooms, a restaurant and a bar. 304 E. Cesar Chavez St. This new hotel will be situated in a prime location across from the Austin Convention Center and will include 600 rooms, more than 60,000 square feet of meeting space, a rooftop pool, three bars and locally inspired restaurants. This family-friendly, African-themed water resort and 200,000-square-foot convention center will feature a 40,000-square-foot ballroom, 22,000-square-foot junior ballroom, an indoor/outdoor water park, a theme park, 990 guest rooms, a spa, fitness centers, restaurants and more. This historic estate, which includes a 10,8000-square-foot Italian Renaissance-style home and lush gardens, is listed on the National Register of Historic Places. Auberge Resorts Collection is transforming this piece of Austin history into a 10-acre gated compound that will include a 53-room property situated within the historic mansion and a newly constructed two-story building. Event space and a restaurant featuring ingredients from the gardens will be included, as well. Nestled in the heart of Texas Hill Country, the recently re-opened Miraval Austin has undergone a complete transformation, with a laser focus on wellness. The 220-acre property added 50 guest rooms (for a new total of 120), a second infinity pool, doubled its spa treatment rooms from 12 to 24, expanded its restaurant, installed a cafe with a smoothie bar, and added new yoga pavilions and outdoor event space. This iconic property is finishing its $150 million, multi-phase renovation that will be completed in mid-2019. The evolution includes a new resort tower with 180 guest rooms, six new dining outlets, a Mokara Spa with a rooftop deck, and new event space (which includes a conference center, ballroom and pavilion). A redesign of leisure amenities includes a new golf clubhouse and course renovations, an expanded pool-scape and a new tennis complex. Austin-Bergstrom International Airport (ABIA) is undergoing a terminal expansion, adding nine more gates to keep pace with increasing passenger traffic and to prepare for the future growth of air service in Austin. The expansion, starting near Gate 2, will increase the number of gates at ABIA from 24 to 33, and is anticipated to be completed in 2019. The terminal expansion will also include a wider concourse, plus new concessions and duty-free shops. Ciclo. Courtesy of Four Seasons Hotel Austin. Exciting restaurants have recently opened in acclaimed Austin hotels. Arlo Grey made its debut at the brand new LINE Hotel, with cuisine by Top Chef 10 winner Kristen Kish that melds French and Italian traditions with Central Texas ingredients. 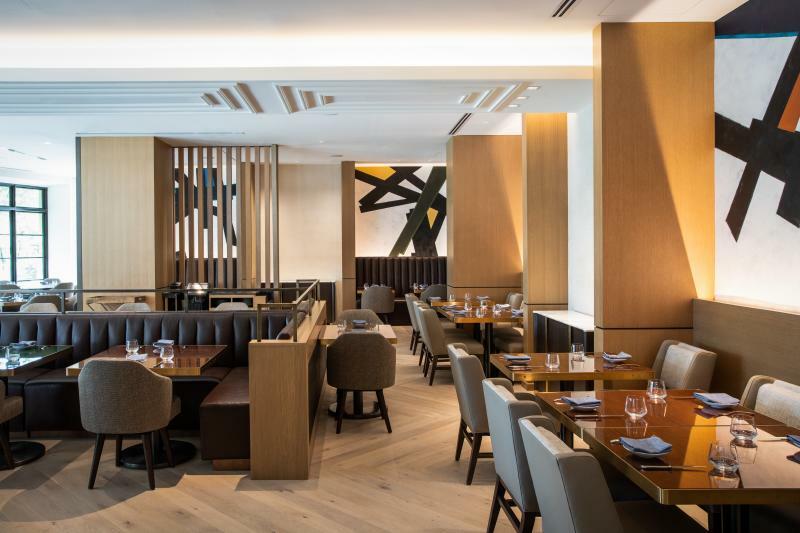 Latin-influenced dishes are on the menu at Ciclo in the revamped Four Seasons Hotel Austin, a collaborative effort of Four Seasons Chef de Cuisine James Flowers and world-renowned chef and restaurateur Richard Sandoval. Some of Austin’s favorite restaurants and event spaces have expanded. Treaty Oak Distilling recently remodeled and opened Alice’s Restaurant on its 28-acre, state-of-the-art distillery/ranch located in Dripping Springs. Its new private event space, The Cocktail Lab, is an intimate lounge that seats 34 and offers craft cocktails showcasing its gin and whiskey. The new location for Easy Tiger Bake Shop at The Linc includes a sprawling 150-seat beer garden, an outdoor stage, ping-pong tables, a full bakery (featuring artisan sausages and sandwiches) and a coffee drive-thru. The venue offers full venue buy outs for parties up to 550 guests, along with a host of additional special events packages for parties of all sizes, and a special large party menu featuring all of the Easy Tiger classics. Banger’s Sausage House & Beer Garden on Rainey Street added a new three-story annex featuring a huge outdoor tap wall, 5,000-square-feet of outdoor porches, an underground private event space and a smokehouse equipped for whole hog barbecues. The Refinery is a beautiful, modern venue located in the heart of downtown Austin. 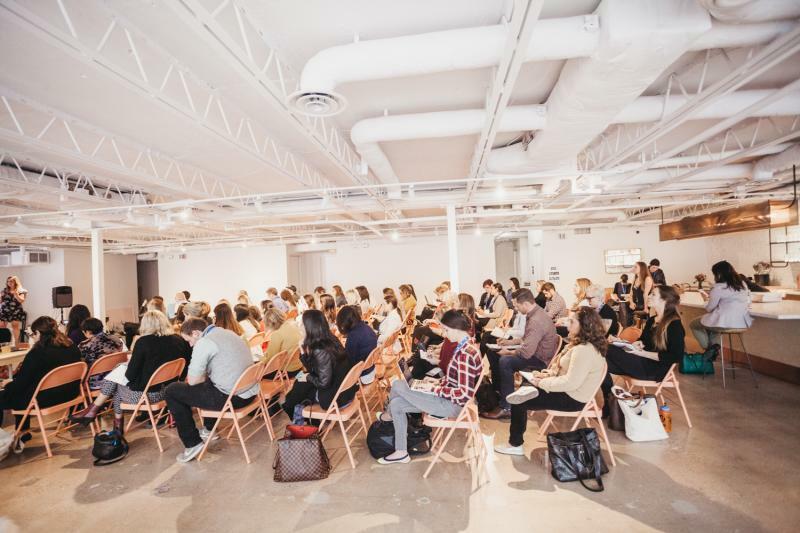 Tons of natural light, white exposed brick and industrial accents create an inspiring atmosphere for everything from workshops to conferences and corporate happy hours. The Refinery can accommodate up to 200 guests. Located just five minutes from downtown, Springdale Station is a historic former train station featuring two large event halls boasting floor-to-ceiling windows, rustic hardwood floors and dramatic exposed wood trusses. Springdale Station’s acre of outdoor space is perfect for cocktail parties. The venue can accommodate up to 300 guests. Exciting new shops have popped up at Domain NORTHSIDE, including Amazon Books, Ray Ban, Steve Madden, Theory, TravisMathew and LAVISH Kitchen + Bath. Kendra Scott opened a new flagship jewelry store on trendy South Congress Avenue that includes the Sips & Sweets cafe, selling drinks, pastries and sandwiches. The store is located in a former residence and features a homey front porch, along with space for bands to play. Circuit of The Americas (COTA) is known as Austin’s premier destination for world-class motorsports, big-name concerts and exciting events all year round. But beginning in March, you can also catch professional United Soccer League action in the heart of COTA&apos;s Grand Plaza when Austin Bold FC makes its highly anticipated debut in a brand new 5,000-seat stadium. Also in March, IndyCar will roll into Austin for the first time ever for a weekend of racing at COTA, capped off with a spectacular headlining performance by MUSE.